Porcelain veneers have become one of the most popular cosmetic dentistry treatments, and for good reason. Modern veneers are customized so carefully to each patient that they give people the appearance of someone who was born with amazing DNA and excellent teeth. If you want a celeb-worthy smile, it’s time to learn more about porcelain veneers and how this cosmetic dentistry procedure can change your life. In many cases, porcelain veneers make multiple corrections at one time. Instead of having your teeth aligned with orthodontia and then undergoing a teeth whitening treatment, you can get veneers instead and fix two issues together. Veneers are not only revolutionary in their ability to transform a person’s smile and entire appearance, they save time by fixing several oral health complaints simultaneously. Porcelain veneers are custom-made to fit each patient, so you know that your smile – applied carefully and expertly by an experienced cosmetic dentist – will look natural. The veneers are constructed of very thin pieces of porcelain, and their shape, size, color, and even translucency is designed to blend with natural teeth and mask any imperfections. Custom veneers reflect light like natural tooth enamel – no one will know you have veneers, but they will notice your stunning smile. You can expect three visits for the design and placing of porcelain veneers. Following an in-depth consultation and thorough exam to confirm that you are a good candidate for veneers, the teeth will then be prepped. This requires the removal of a small amount of enamel from each tooth receiving a veneer. Then your dentist will take an impression of your teeth and create a mold that the dental lab will follow to develop the veneers. Because veneers are so thin, it is important to account for the color of natural teeth to create the most authentic-looking smile makeover. A skilled ceramicist at a trusted lab will hand-make your restorations. While you’re waiting for your veneers to be ready, your dentist will fit you with temporaries so you don’t feel even more self-conscious about your smile. Once the veneers have arrived and temporaries have been removed, the veneers will be checked for accuracy in size, shape, and shading before being permanently affixed to your teeth. 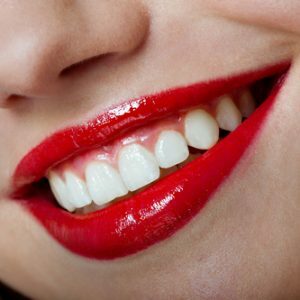 From there, a careful check of the bite will be done to ensure comfort, and you will have a transformed smile. With proper brushing and flossing and preventive dental care, your new smile can last for decades. Make you look younger, happier, and healthier. If you’re impatient about your smile makeover, but you want the changes you make to last for a very long time, porcelain veneers are a solution that will create the straight, white smile you’ve always dreamed of having. The dramatic change offered by porcelain veneers is not reserved for the elite alone. This cosmetic dentistry treatment is so accessible that you can soon look like a celebrity yourself with a flawless smile. There are even minimal or no-prep porcelain veneer applications that are available to the right candidates. Dr. Fu will consult with you to determine which style of veneer is best for your unique case. Contact our office to schedule an appointment. We proudly serve the residents of Rye, Westchester, Rye Brook, Port Chester, and surrounding areas, including Greenwich, CT. Our goal is to deliver gorgeous, natural-looking results that will keep you smiling.